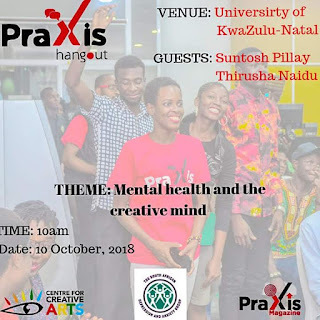 The Praxis Magazine online Hangout event held in Nigeria since three years now is set to debut in Durban, South Africa next week. 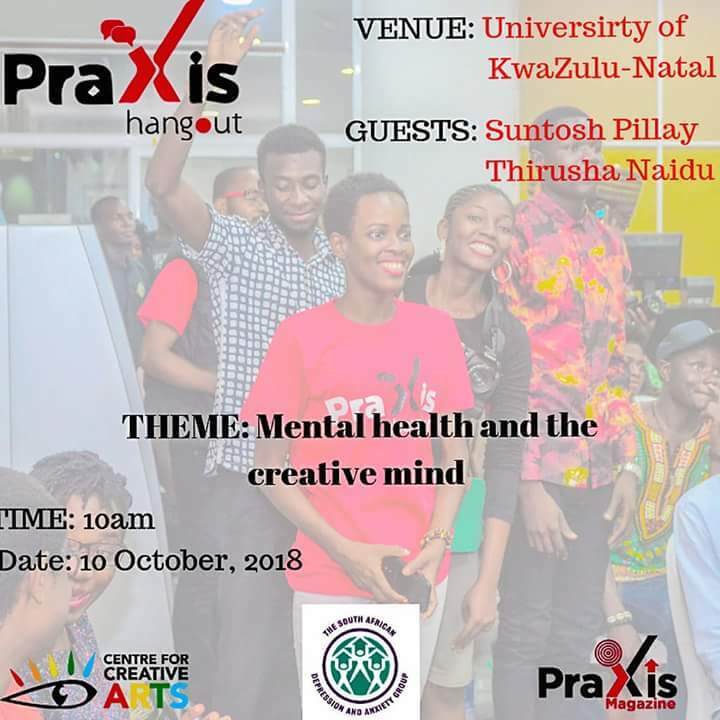 The inaugural Praxis Hangout, Durban, will be an intimate event in support of World Mental Health. The gathering aims to open up conversation about mental health challenges in the lives of creatives. The Durban Hangout is a collaboration between @ukzn, Sadag and Praxis Magazine. Guest speakers at the Durban event will include clinical psychologist Mr. Suntosh Pillay and senior clinical psychologist and arts enthusiast Dr. Thirusha Naidu. Guests are also invited to share their stories, as well as display their creative works, books, chapbooks, art work for sell during the networking section of the event. Time: 10.30am to approx 12.30pm. -Networking opportunity, signing of the pledge board, sharing of work.